THE MODEL: An app which allows users to upload and share songs privately with their friends or publicly to blogs, sites and networks. Core Idea – A social sound platform enabling users to create and share songs. Product Features – Users can save tracks, share them, follow other artists and build playlists. Also users can see the play counts, likes and comments on their work. Freemium Model – The basic service is free for users. This includes upto 3 hours of upload time and other basic social sharing and analytics tools. For more tools and upload time, users can upgrade their account to a paid plan. API Integration – The tool offers an API to integrate with other applications. 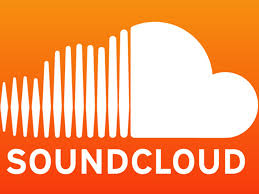 Competition - There are some big music streaming services competing with SoundCloud. The main USP of this startup though is discovering new content and artists, exactly what Youtube has done with videos.